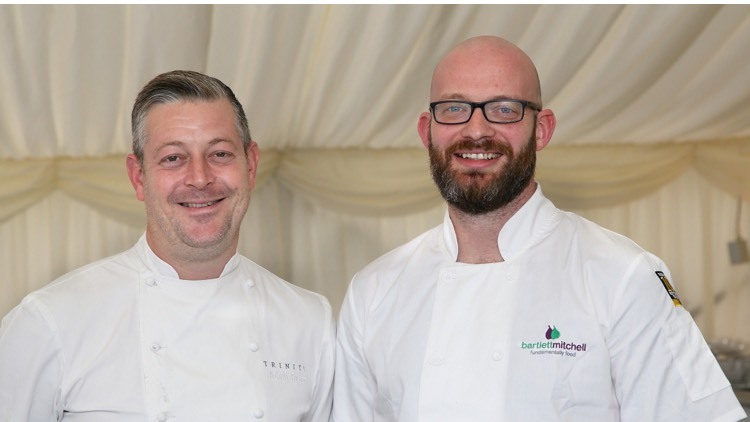 Adam Byatt’s exclusive collaboration with bartlett mitchell and Inn or Out Events sees him work with chef director Pete Redman and all the chefs on masterclasses, sustainable sourcing, live food demonstrations and events. Redman says that since Byatt came on board last November, he’s brought a “wealth of experience and knowledge to the business”. This article appeared in The Caterer and you can read the full article here.